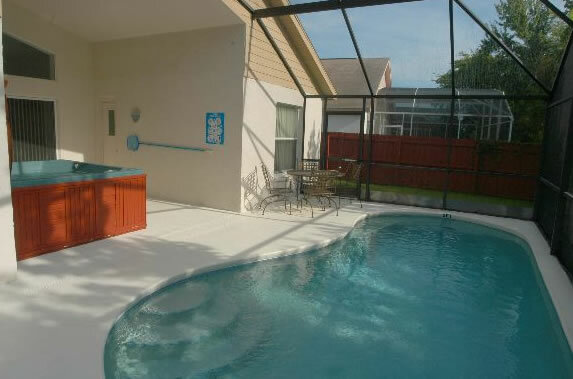 Executive 4 bedroom, 2 bath with private screened in pool backing conservation for more privacy. 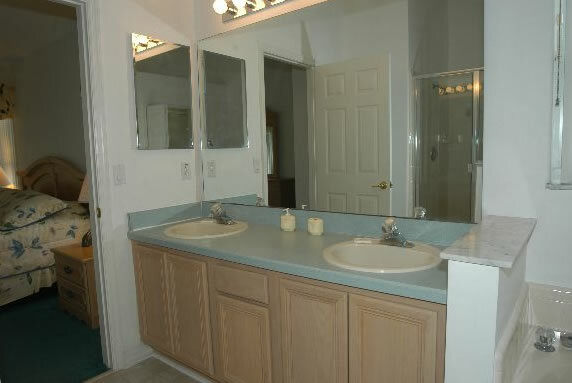 This home also has a stand alone hot tub to rest your weary bones after long walks in the parks all day. Stand alone hot tub heat is free of charge. 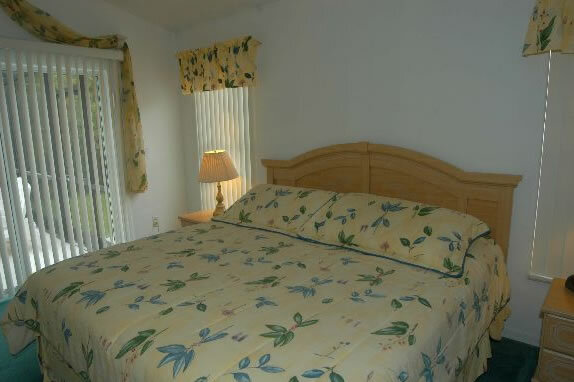 Our fabulous home has 4 bedrooms which consist of master bedroom with king size bed with en-suite bath. 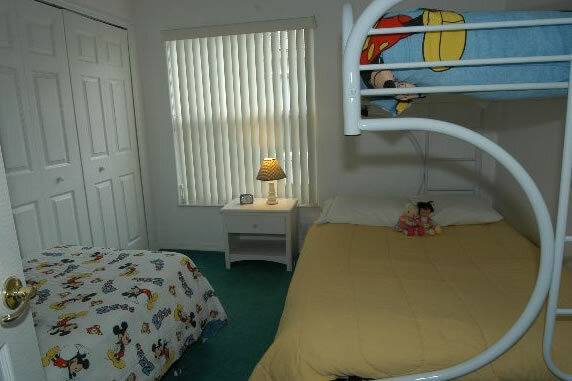 The second bedroom has a queen, the third two twins and the fourth has a bunk bed with queen and single and there is an extra single bed. 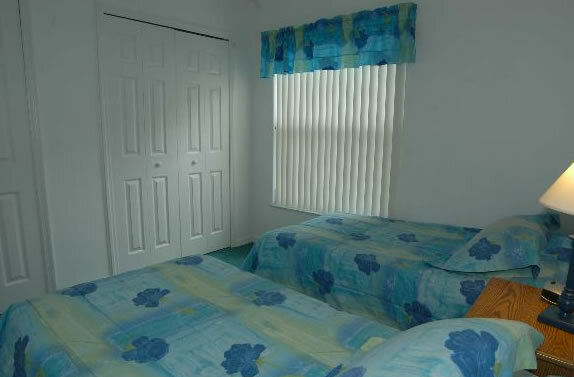 This room is perfect for larger families to be all together as sleeps up to 10 guests. 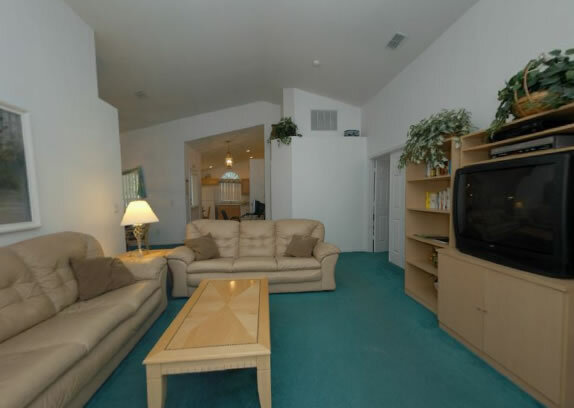 There are tvs in all the bedrooms, vcrs, dvd player, free unlimited calling almost on any land line phone in the world, wireless internet, play station and stereo entertainment. 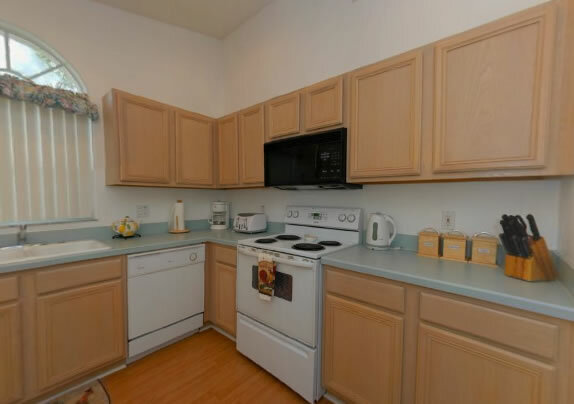 Our kitchen is fully equipped and the living area is spacious and looks out at our beautiful pool. 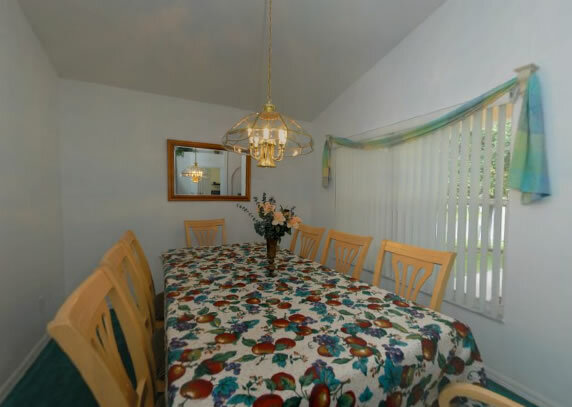 The dining room can seat up to 8 guests for a family meal. 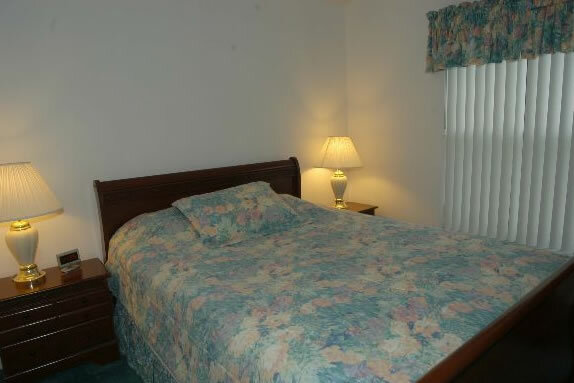 Laundry facilities and a two car garage are also there to make your vacation perfect! 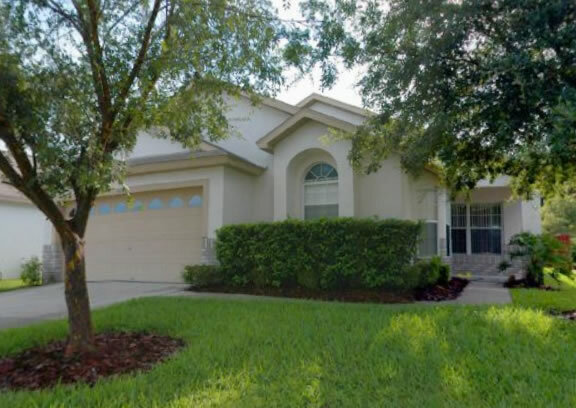 PLEASE CLICK ON THE LINK BELOW TO TAKE A LIVE TOUR OF OUR WONDERFUL HOME!